Text type (e.g. hand-written, GRU tags, carved): It has no markings or GRU tags. 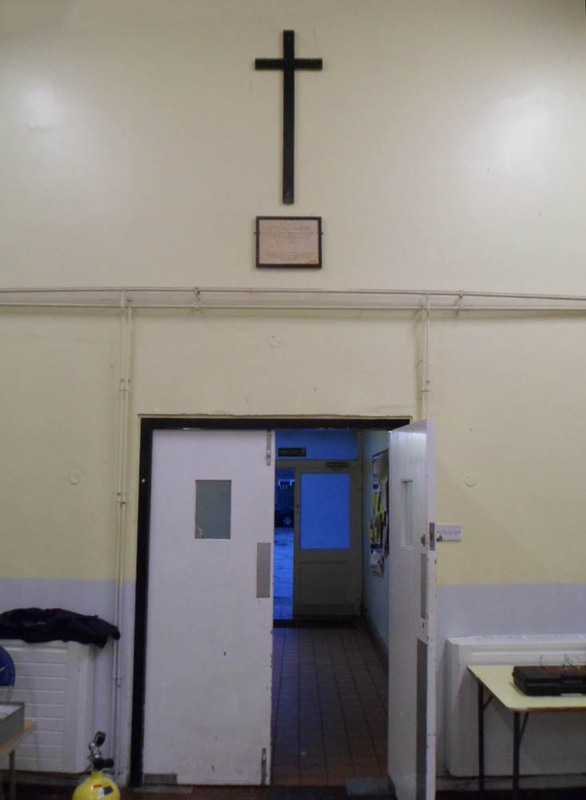 Mounting to wall: over the entrance door inside the hall high up there is a wooden grave marking cross. Condition (cracked, paint peeling, woodwork, damage etc): In good condition. 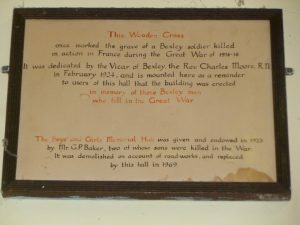 ” This wooden cross once marked the grave of a Bexley solder killed in action in France during the Great War of 1914-18. 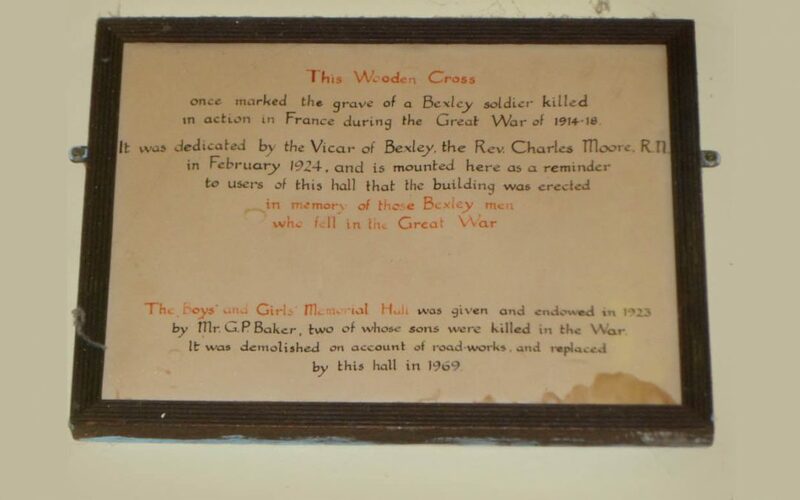 It was dedicated by the Vicar of Bexley, the Rev Charles Moore RN in February 1924, and is mounted here as a reminder to users of this hall that the building was erected in memory of those Bexley men who fell in the Great War. 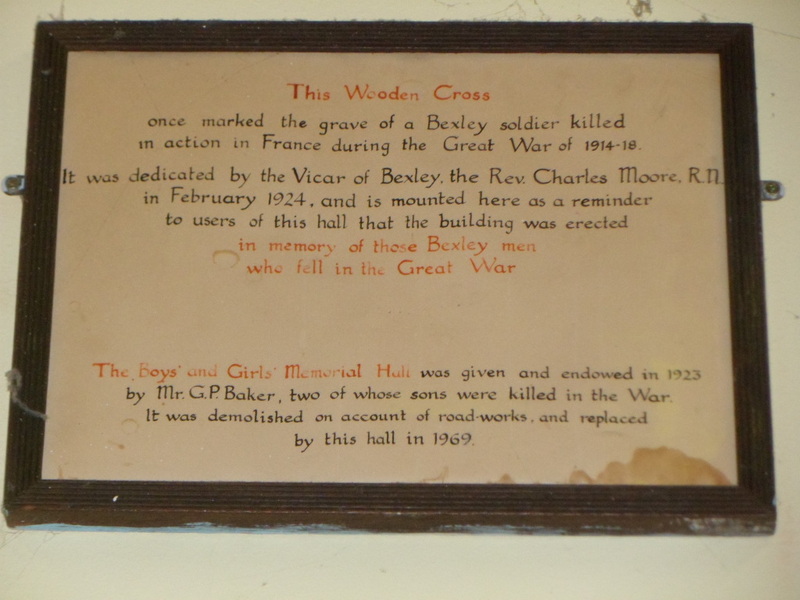 The Boys and Girls Memorial Hall was given and endowed in 1923 by Mr G.P.Baker, two of whose sons were killed in the War. 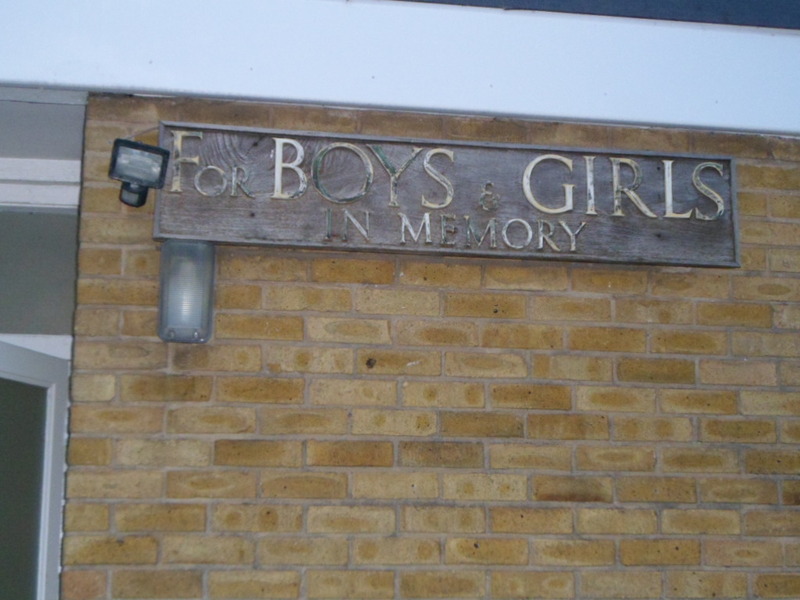 It was demolished on account of road-works and replaced by this hall in 1969.